The tales of Doc and Earl and Doug will be many to tell, in fact they already have been: happily these great players did actually receive some of their flowers while they were living, as the old Stanley Brothers song has it. 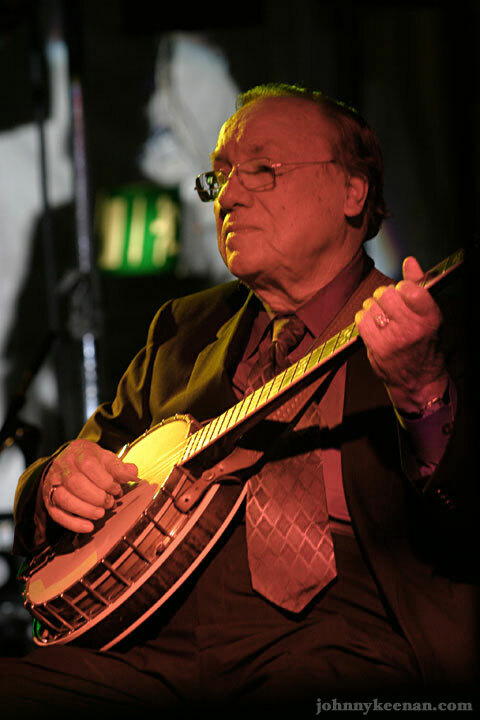 Earl Scruggs seemed to come out of nowhere in the 1940s playing a style of banjo that was, by the time the world heard it, so complete, so powerful, all banjo playing since has been judged by its standard. The old tapes of the Bluegrass Boys on the 1940s Grand Ol’ Opry record how audiences went berserk for Earl’s banjo, demanding so many encores, it almost stopped the Opry rest of the show. When Doc Watson burst on the national scene in those early ‘60s Newport Folk Festivals, he blew the New England folkies away with the power of his gravel-pure voice, and the greatest guitar flatpicking that had ever been heard. And when Doc and son Merle toured the world starting in the late sixties, they began the biggest migration of a single musical instrument in history. The steel-string guitar went from deep obscurity in the mid-20th century to become the most ubiquitous instrument on earth. Out of all the sincere and well-intentioned attempts of politics, diplomacy, philosophy, religion, and education to get people to be peaceable together, ironically today, the last thing on earth that all seven billion of us agree on is that we like the steel string guitar. If you could get into Tehran, Beijing, or Mogadishu there would be a peaceable jam session, and someone there would know the 'Wildwood flower.' Having thus swept the world, guitar music may, just maybe, someday save humanity; if it does, Doc and Merle started the trend. Doug Dillard was another tremendous personality and player, very influential, and with the Dillards band came roaring out of the California music scene in the late '60s and early '70s. The Dillards showed the world that bluegrass music, acoustic instruments, and entertaining stories and repartee could make it on a major label and stand on its own surrounded by electrified country and rock music. So it’s shocking to think of our world without them; for me Earl was the blazing banjo sound that hooked me as a little kid in 1951; in my world, Doc was the fifth face on the Mt Rushmore of music; and Doug was sassy, smart old-time music walking unapologetically up and down Santa Monica Blvd. Now, without them, the world feels very strange, and we wonder what more to say about their absence. Books will be written, memorials created, and most of all, we will tell stories of Doc and Earl and Doug for a long time. So what more is there to say? Just one thing more: to remind ourselves how their music and their example ought to influence us. In history the great funeral orations were aimed not at the departed, but at the living. Pericles after the Peloponnesian war and Lincoln at Gettysburg, for example, reminded the living to carry on the vision of those being memorialised. And that’s what we can do as we celebrate and feel the loss of Doc and Earl and Doug. We can go back to the source, listen again to the recordings, hear in Doc’s singing and playing what Utah Phillips called 'the power of an authorless folksong'. 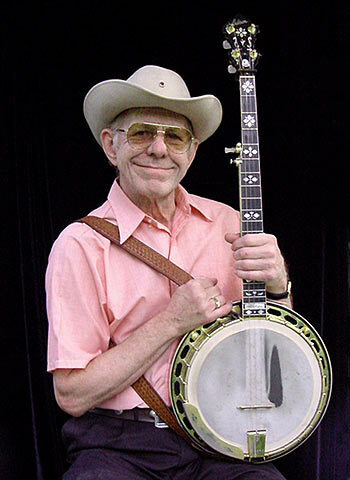 Listen to the beautiful inside stuff of Earl’s banjo, the irony, the tone, the drive. And revisit those sessions from over three decades ago when Doug and the Dillards took bluegrass to town and made it dance in the city streets. The examples of Doc and Earl and Doug are a perfect guide into our future. They’re a compass to keep the music on course in some sense, but also to point to the next Earl, Doc, or Doug, the next inspired young player waiting in the wings to knock your socks off.